April Mug Rug (Snack Mat) of the Month Come on in and get your kit! 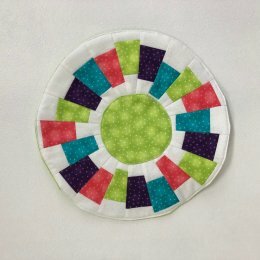 Coming in May, a beginners computer class for manipulating your embroidery files in Tullahoma. Let us know Huntsville if you would like to see that class in Huntsville, with recommended times, Thanks! Another great class coming later this month with Keril from Stashtools. Check out the Wedge, Table Runner or Placemat. Rocket City Modern Quilt Guild meeting May 15 at 6:00 PM. Come check them out.